Editorial Photographer London 11 – Editorial photography of author James Redfield in his home in Alabama for an editorial feature in Newsweek magazine. When we arrived we were quickly informed that we had 15 minutes to do our photography. As we had planned complex photographic lighting techniques, we worried that we would not have enough time to do the back projection technique we had planned. We need not have worried, as four hours later we were still shooting with New York Times best selling author James Redfield enjoying the whole process. If you need an editorial photographer London magazine and newspaper clients repeatedly turn to, it would be a pleasure to hear from you. 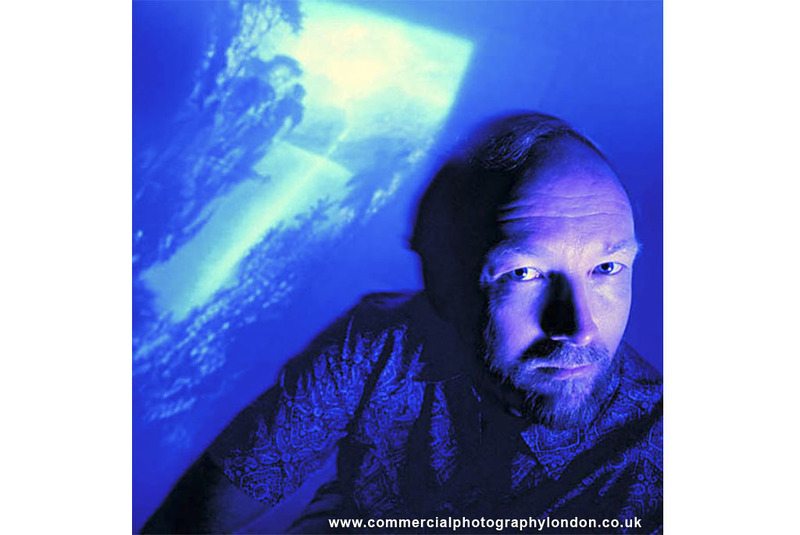 Editorial Photographer London 10 – Photography of Omni Bank executive in New Orleans surrounded by storm damage, for an editorial feature on the effect of Hurricane Katrina on businesses in New Orleans. Editorial Photographer London 9 – Photography for Grazia Magazine, for an editorial feature on bad plastic surgery experiences in the UK. 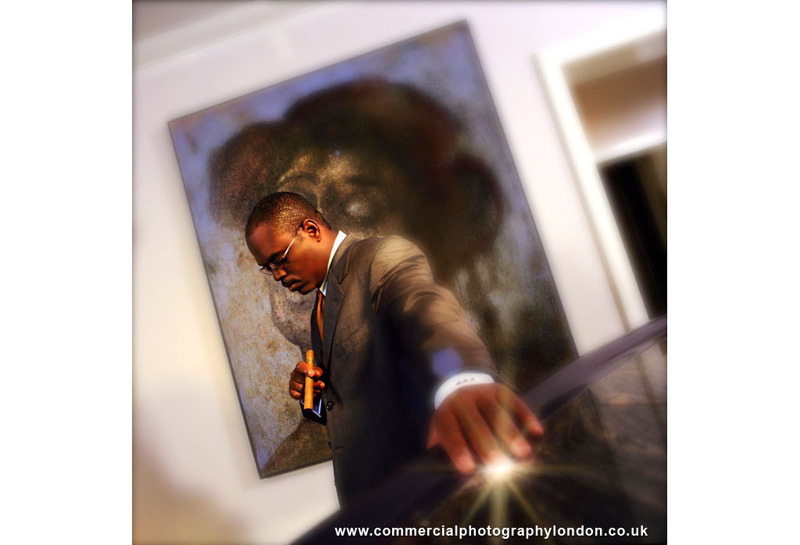 Editorial Photographer London 8 – Editorial photograph of music executive LA Reid in his Atlanta home for an editorial feature on the music business in B2B Magazine. 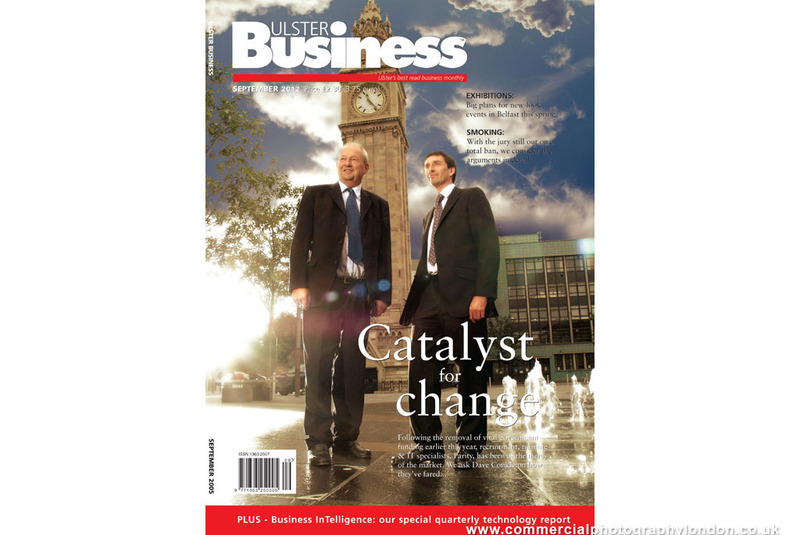 Editorial Photographer London 7 – Editorial photography of business executives in Belfast, Northern Ireland for Ulster Business Magazine. Image digitally retouched with Adobe Photoshop to deliver a blown out effect on highlights.